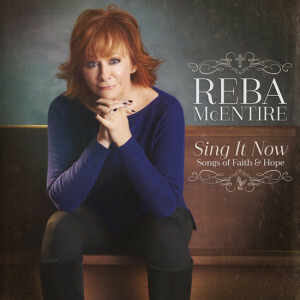 ” SING IT NOW was the perfect title for this album because the message and melody throughout the song connects the dots between the traditional hymns I grew up on and new music that has been uplifting for me in challenging times,” said Reba. Reba let her heart and friends help guide the song selection, which includes the first tune she ever sang in public, “Jesus Loves Me,” a former Reba co-star’s suggestion of “Oh Happy Day” and an introduction from a close associate to “From The Inside Out.” Collaborating with Kelly Clarkson and Trisha Yearwood, “Softly and Tenderly” is available tomorrow (12/16) via http://smarturl.it/RebaSingItNow through the pre-order, giving fans a sense of the spirit with a new track each week leading up to the release. Special packages with autographed merchandise (CD, vinyl and framed print) as well as t-shirt and leather journal bundles are up now at Reba.com. Reba co-produced the album with Jay DeMarcus* of Rascal Flatts in his home studio and band leader/musical director Doug Sisemore. Reba will feature the new music and signature hits spanning four decades with her first-ever headline show at Nashville’s iconic Ryman Auditorium on February 15, 2017. Tickets go on sale at 6:00P CT tonight (12/15) through http://ryman.com/events/Reba. This entry was posted in Christian Contemporary and tagged Reba McEntire, SING IT NOW: SONGS OF FAITH & HOPE by Kris Patrick. Bookmark the permalink.